In the midst of these days things seem to be moving in a direction that is difficult to understand. We have found our nation in a struggle in recent days that seems to have taken us away from what we need to be focused on. It has trickled down into the very lives that we live. It is easy for us to get thrown off course and move in a direction that takes us away from where God would have us go. I know that for myself, I can get side-tracked very easily. Many times I don’t want to be thrown off course, but it seems to be a part of who I am. It can be very frustrating for me at times because I truly do want things to move in the proper direction. Yet staying focused can be very difficult for me at times. For years I didn’t know why, but years later a doctor told me what the issue was and then worked with me how to deal with it. I am bi-polar which brings on some issues that cause me to struggle. When I am going along and able to focus things seem to move in a great direction. It is when I am confronted with the down side of this disorder that I struggle. That’s when I need to re-evaluate things so that I don’t get thrown off course. One of the ways that helps me more than anything is to focus on what God is doing in my life. Sure it doesn’t always just flash in front of me, but when I put my trust in God, He is always faithful to show me what I need to do. Psalm 37:4-6 says -- 4 Delight yourself in the Lord; and He will give you the desires of your heart. 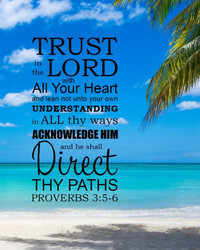 5 Commit your way to the Lord, Trust also in Him, and He will do it. 6 He will bring forth your righteousness as the light and your judgment as the noonday. When things start piling up in front of me and I am having trouble I seek to ‘delight’ myself in the Lord. It is then that I am able to see what He has in front of me. I believe that when He knows that I am seeking Him that He will give me the desires of my heart. Yet trusting in Him has got to be the biggest part of this for me. You see, when I trust in myself, my trust is not in the One who will lead me through the times of struggle. I must commit myself to the Lord and trust in Him. Then He will be able to work in me. Verse 6 says – “He will bring forth your righteousness as the light and your judgment as the noonday.” To me this simply lets me know that God will work in me. He will let me know when I am where I need to be or when I have walked off course. This gives me peace in knowing that whatever I am faced with, God will be there. 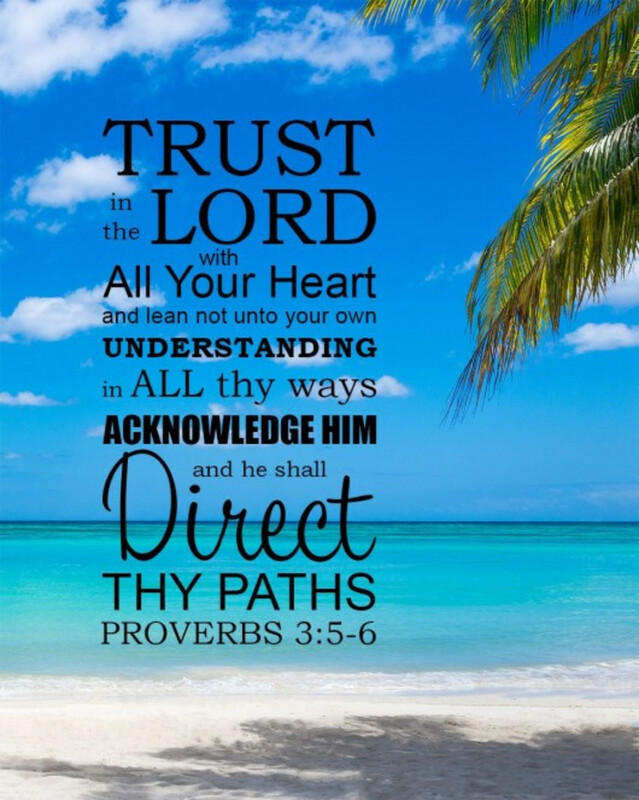 I don’t know what you may be going through at this time, but I can assure you that if you will trust in the Lord, He will not walk away from you. Commit your life to Him, trust in Him and He will show you the way. I guess I could just simply say – Hold to the Lord and He will hold to you. Walk with the Lord and He will walk with you. Trust in the Lord and He will never let you down.